All photos courtesy of Roast House. 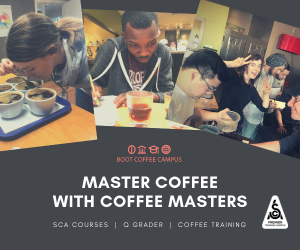 With so many RTD coffee products rolling out these days from specialty roasters, the cold brew phenomenon has already proven difficult to describe without dropping an F-bomb or two. 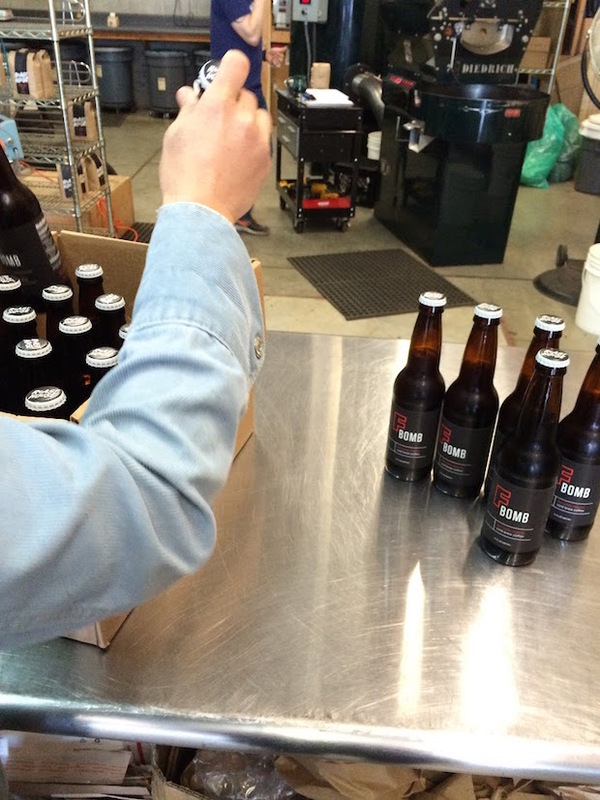 That difficulty has only increased now that the 6-year-old Spokane, Wash.-based roasting company Roast House has begun dropping F-bombs of its own, in the form of 12-ounce bottled cold brews onto local market shelves. Roast House friends Jon and Amber Bonetti. 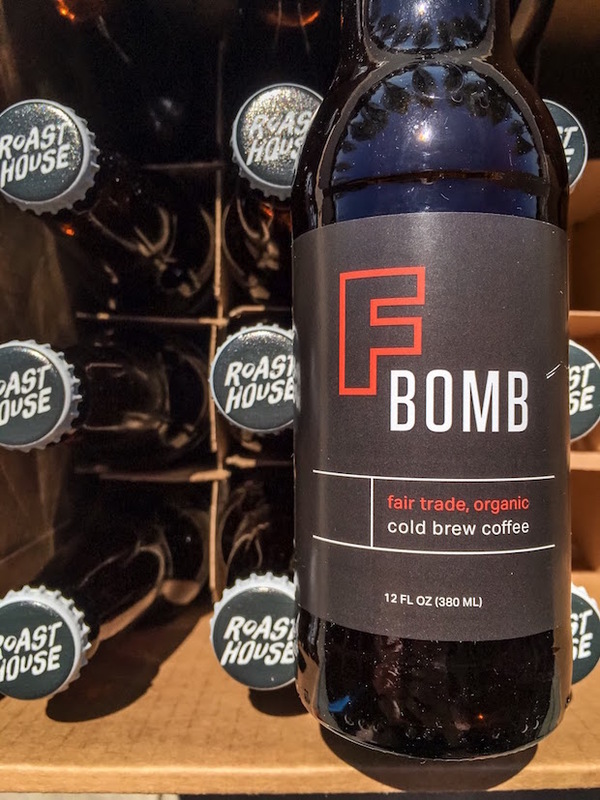 That bean from Chiapas is still sold online under the name “F-Bomb.” Roast House extended the name to the new RTD bottled cold brew product as well, as the blend for the brew is centered on that bean along with other Central American beans for the desired balance of flavor. 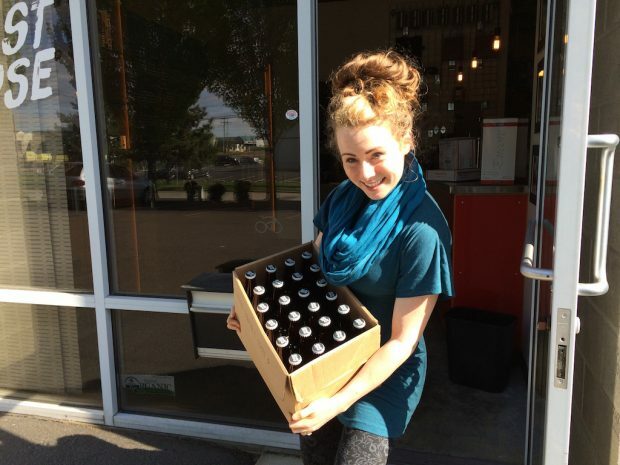 Josie Di Bernardo currently bottles the resultant ambrosia by hand and began rolling the product out to stores in the Spokane, Wash., area last week. The all-organic and Fair Trade coffee company, founded in 2010, recently honed the recipe and technique through sampling and collaborating with their pals at the beer company Orlison Brewing, with whom they have previously collaborated on a coffee vanilla stout. “This project has been in the works for a year, and it took me this long just to get their go-ahead,” said Di Bernardo of the Washington State Department of Agriculture, whose approval has proven challenging for the development of the RTD product. Di Bernardo said the Spokane office had actually never before even heard of cold brewed coffee, let alone approved its commercial production. Roast House employee Allison Jordan with a case of F-Bombs. The plan for F-Bomb was to scale up quickly and relocate the entire brewing and packaging operation into the Orlison brewery, where they still intend to repurpose a bit of space and equipment for F-Bomb, which will at that point be canned instead of bottled. 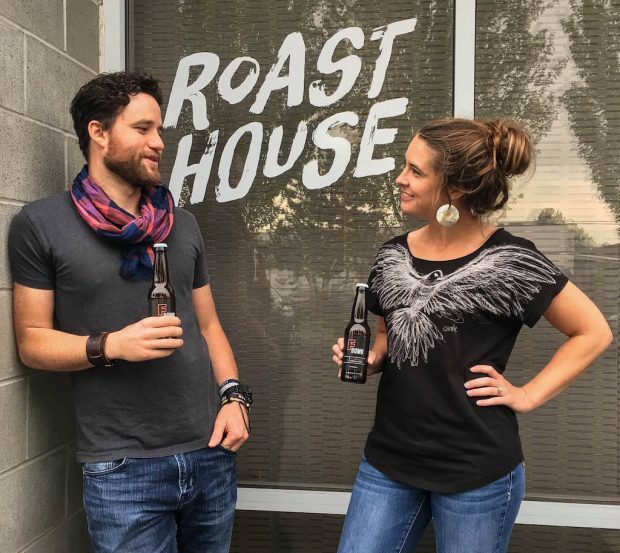 In the meantime, Roast House will continue cold-brewing in the roastery, where production for their 33 wholesale accounts in Washington, two in California and three in Idaho also occurs. Their Diedrich IR12 and their F-Bomb cold brewery will continue to reside together in a warehouse space at 423 East Cleveland Avenue in Spokane, where they also package and ship over 20 different roasted coffee products sold through their website. 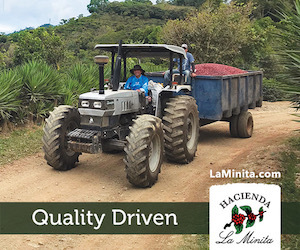 Going forward, Di Bernardo would like to reinvigorate their initiative to seek direct sourcing relationships with coffee growers, as it’s been about three years since anyone from Roast House has traveled to origin. 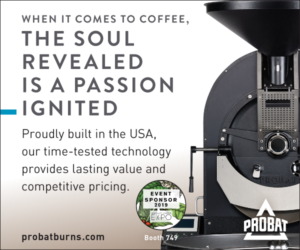 And as for if and when F-Bomb production does ramps up, Di Bernardo expressed reluctance to cast too wide a net for its distribution, for while Roast House practices meticulous quality control, she’s not as confident in the quality assurance of grocery carting and receiving systems. 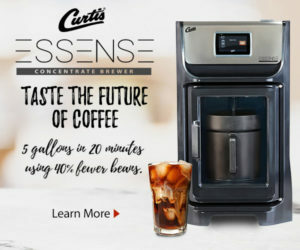 There is a new product in development called the Pique that allows drinkers to make cold brew coffee in ten minutes instead of 12 hours by using some sort of pressurized system. It’s currently in KickStarter phase, but I’m really interested to see if it really works. 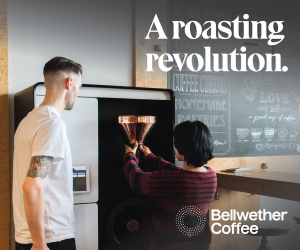 It could be useful for you guys to shorten brew times and improve productivity.